1. Meeting his family for the first time is going to be a big deal. 2. A: Oh, sorry! I forgot to bring that book you lent me. I wanted to return it to you today. B. Don’t worry about it. It’s no big deal. I’m not in a hurry for it. You can give it to me next time we see each other. Correct: It is not a big deal. Correct: It is no big deal. 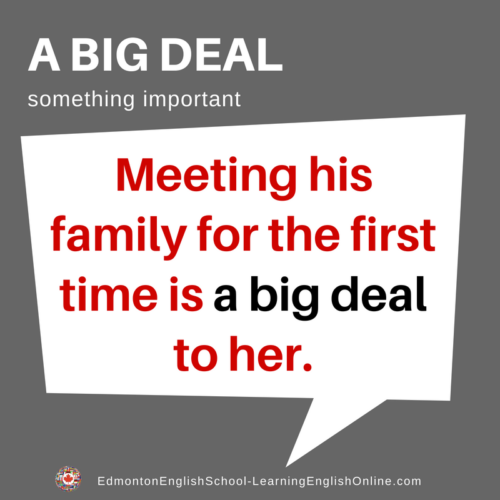 Incorrect: It is no a big deal.